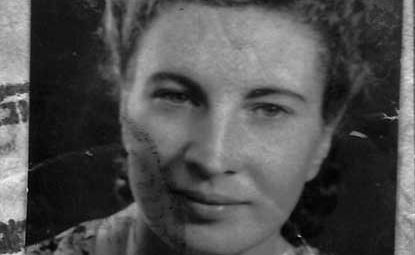 Rivka, born on 10 May 1924, also referred to by her friends as Rebecca or Rita. She grew up in a secular Zionist environment in Libau, now called Liepaja, a port city on the Latvian Baltic Sea. She was fluent in German, Yiddish and Hebrew. Her father Eliahu Dimant passed away probably from pneumonia well before the war. Her mother Ressa allegedly remarried and moved with Bertha across the border to Lithuania. Bertha was a couple of years younger than Rivka. Rivka refused to move as she was extremely close to her friends, a pattern that typified her entire life – Lea Weisbard (from Givataim), Dina (Dinka) Steinberg (Savion), Rosa Kaminsky (Yad Eliahu, Tel Aviv), Ziva Shchori (Ramat Gan), Tsira Katzenlson (Neve Oz, Petach Tikvah), Bella Neufeld (Haifa), Mirale (moshav Sarona, lower Galilee), Rosy (Kibbutz Sarid then Brooklyn, NY) and Anya Bovilsky (Tel Aviv) – all were her close friends from either home or while immigrating to Israel. 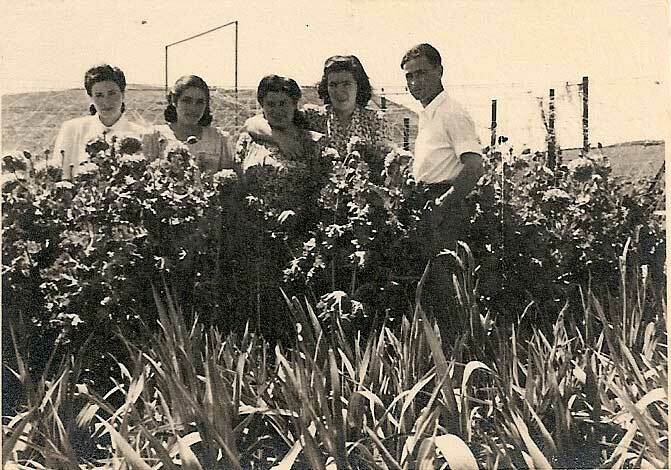 She was also particularly close to her cousin Chana Yanai from Kibbutz Ein Dor. Rivka remained in Libau with her grandmother (unknown from which side). 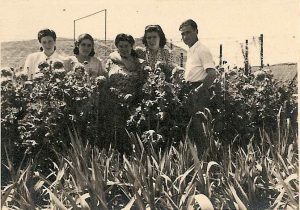 She blossomed as a teen ager and her life evolved around the community – friends, school and the Zionist youth movement. Her mother, sister and grandmother (or grandparents) perished in the holocaust, brutally murdered with the rest of the city’s 7000 Jews. She was miraculously saved by Lea’s father. 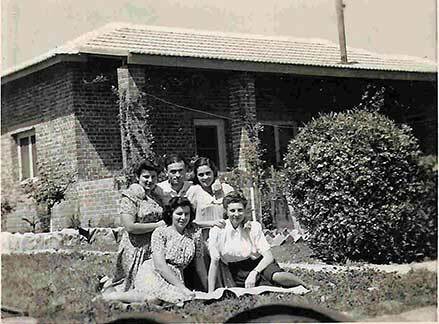 He was an electrician and as such was allowed to spare his family but insisted on Rivka to be kept with them too as she was as close as his daughter. Risking being shot for being so unthankful and full of daring Chutzpah, it somehow worked. The years after find Rivka working for the Nazi Naval force sorting cloths and a like. Food was kept to minimal, yet her German boss was a good hearted man and often provided her with extra food. She also worked at the local AIG facility. She moved to local concentration camps (luckily not the deadly Stutthoff near Danzig). During the war she was strike by tuberculosis. Towards the end of the war they were put on a death march west near the Baltic Sea. Sick and frail she very barely made it, being helped and often carried by her friends, including, once again, Lea. 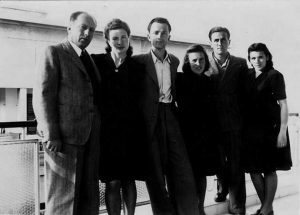 She met Moshe Tuchman from Kartuz Berezah, a heroic and resourceful partisan, as both among the other survivors did their way in trains towards Italy and onward to Palestine. In Milan she was united with her uncle Leo who lived there at that time and she got married to Moshe. They spent a few weeks in La Spezia getting prepared to the illegal immigration to Mandate Palestine. They were assigned the ship Dov Hoz (originally named Fede) which became very famous as it was denied to leave the La Spezia port. The mutiny and hunger strike got world attention and the British government finally gave in. 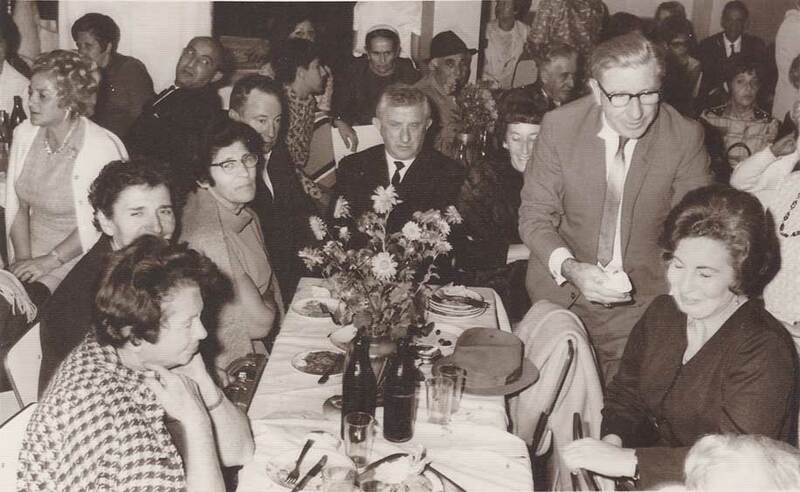 With 675 holocaust survivals it left the port on May 8, 1946 and entered Haifa 5 days later. Rivka was trained to become the nurse of the ship. In Haifa they joined Moshe’s aunt who lived on Nordau Street, where a room was allocated for them. 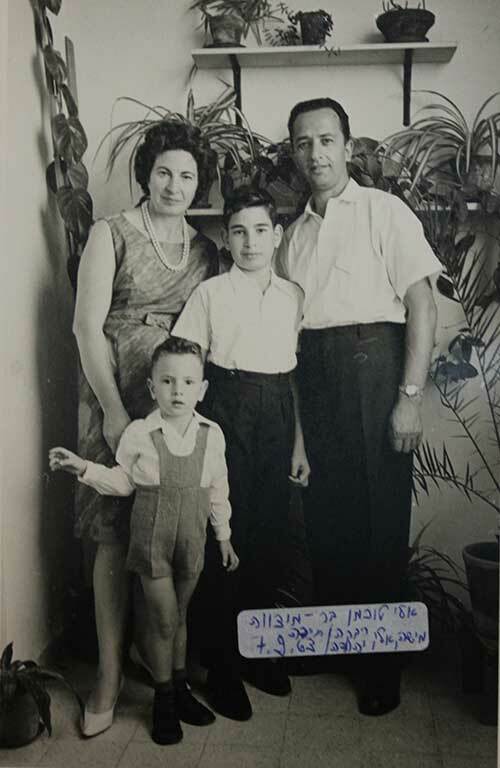 During the Independent War Moshe was a soldier with the Hagana protecting the central Hadar neighborhood from Arab attackers who were coming from the streets below. 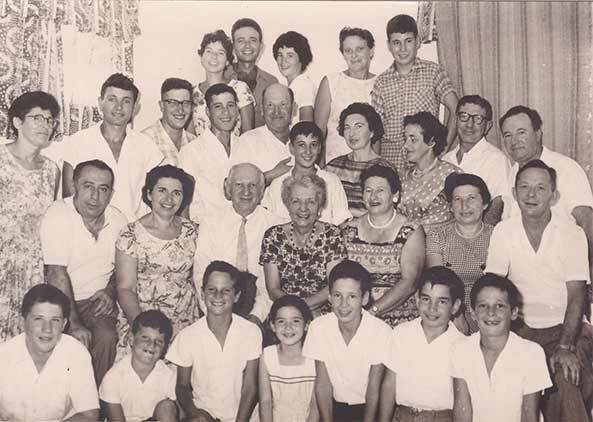 In 1948 they moved to Hagefen Street where both their sons, Eli and Yehuda, grew up. 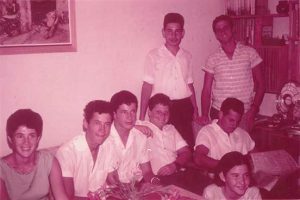 It was an open house to her friends and the large family of the Northern Kibbutzim (in particular Ein Dor, Ayelet Hashachar and Dafna). 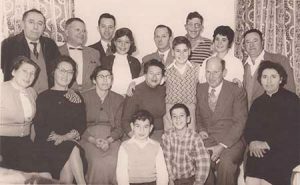 In 1961 they moved to a larger apartment at Bat Galim which became the home of at least two Judelman family soldiers during their military service, actually living there). In 1986 they followed their sons and relocated to Rama Aviv. Moshe passed away in 1998. Rivka’s remaining years were not glorified. In fact they were horrifically tough, as she severely suffered from emphysema caused by the traumatic war conditions. She remained at home almost to the end.